LT Event is premium template tailored for event websites. This template allows planners to promote their event, provide detailed information. Furthermore, they collect registrations and payments in one centralized online location. The template framework come with Page Builder for layout, Shortcode for present content easily, Support Font Awesome, Compress files and so on. 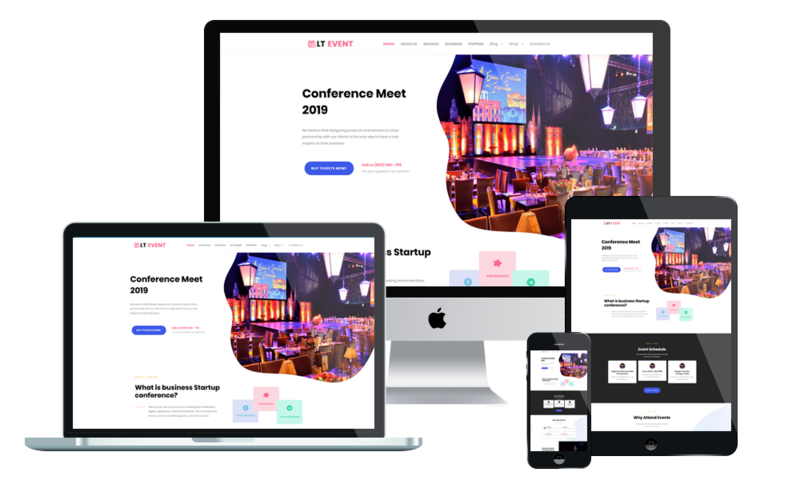 LT Event builds on powerful framework with fully bootstrap under 100% responsive layout (support for mobile devices), strong shortcodes, unlimited positions, drag-drop layout. It also comes with 4 colors schemes helping to create amazing websites with various layouts.